Sign up to my Beautycounter List to get my monthly deals and FREEBIES and receive $15 off your first order. No spam ever. Promise! 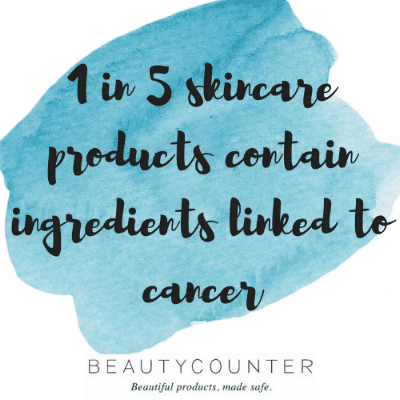 Did you know that many of the skincare and beauty products you use on a regular basis contain toxic chemicals that have been linked to cancer, reproductive issues, neurotoxicity, hormone imbalances and so much more? No? Don’t worry, I didn’t know about these disturbing facts until recently either. Like most people, I assumed that the products on the shelves must be safe. Otherwise how could they get approved for human use? Well the answer is simple, when it comes to the personal care industry there are very few regulations, so products don’t have to be tested for safety. The governments in Canada and the US have basically turned a blind eye to the skincare and beauty industries, allowing them to use ingredients that are known to be harmful to human health. Scary isn’t it? Companies are allowed to use known toxins and carcinogens, without even disclosing these ingredients on the labels. Yes that’s right, let that sink in. They don’t have to disclose the ingredients in their products on the labels. You could be exposing yourself and your families to numerous toxic compounds without even knowing it. And this doesn’t just apply to products marketed to adults. This applies to baby and children’s products as well. It makes me sick just thinking about it. What’s even worse is that the majority of the ingredients you put on your skin get absorbed into your bloodstream in less than 30 seconds of application. So it’s not just your skin that is being exposed to those harmful chemicals, but the rest of your body as well. 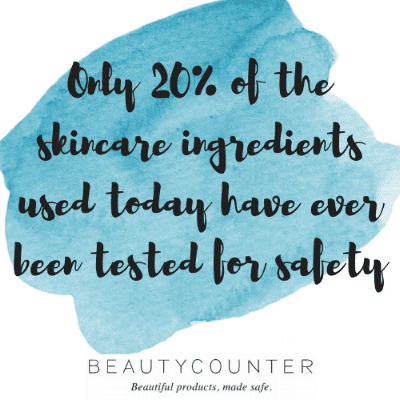 ONLY 10% OF THE INGREDIENTS USED IN SKINCARE AND BEAUTY PRODUCTS HAVE EVER BEEN TESTED FOR SAFEY. Luckily the news isn’t all bad. There are companies out there that are actively working to change the personal care industry. I have spent a lot of time researching these companies, and I am excited to share what I have learned with you to help you and your family make safer, healthier choices. In an effort to clean up my own beauty and skincare routine I am excited to announce that I have partnered with Beautycounter. 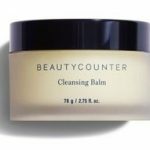 Beautycounter has banned over 1500 ingredients from their products, all while ensuring that their products perform well, and are as indulgent as any luxury beauty brand. I didn’t only fall in love with Beautycounter because their products are safe and have totally transformed my skin, but I wanted to work with a company that is working on making real change. 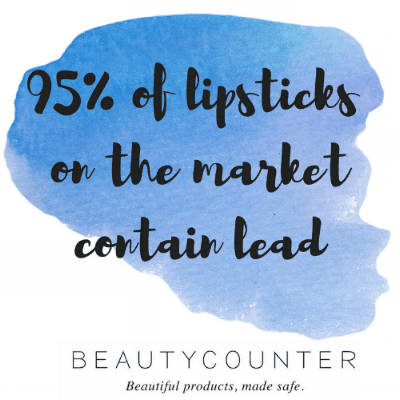 Beautycounter is dedicated to making changes at the legislative level to get better laws for the industry as a whole. They are actively working on reforming the current laws regulating the beauty industry, in the hopes that other companies will follow their strict safety guidelines. I am extremely proud to represent Beautycounter and everything they stand for. To learn more about this amazing company please click here. Here is an interview with Gregg Renfrew, the founder of Beautycounter. Listening to her talk makes me so proud to be a part of this company and everything they believe in. Please take a few minutes to learn more about this amazing brand. Like many of you, I have struggled with a few different skin issues in my adult life. Keratosis Pilaris, otherwise known as chicken skin or KP (or those annoying little red dots on the back of arms), and adult acne. Changing to the paleo diet, learning how to take care of my skin through exfoliation and cleaning up my skin care products allowed me to heal my keratosis pilaris completely within 3 months. You can read how I did that in this post here. Cleansing Balm: This is one of my absolute favourite products. It can be used for so many things! I use it as a makeup remover, face wash and during the winter I use it nightly as a hydrating night cream. Because while being acne prone my skin is also dry, especially in the winter. Since using the Cleansing Balm I have seen a dramatic decrease in my acne. It is also great as a spot treatment and works well on any kind of skin rash or irritation (ie. eczema, psoriasis, dermatitis etc). The jar is also huge and will last you forever. Typically one jar will last for 6-12 months with regular use. A little really does go a long way with this stuff. You can shop for the Cleansing Balm by clicking here. The Number 3 Balancing Face Mask: Oh I love this stuff! I use it as a full mask 2-3 times per week and as a spot treatment every night on any acne lesions that I have. This Balancing Mask is a mineral-rich mix of kaolin clay and charcoal, and works to gently exfoliate, draw out impurities, and soothe the skin. 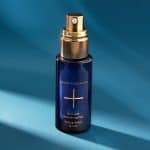 The formula helps improve skin’s overall condition by refining the appearance of pores and increasing elasticity. It is great for acne, redness, clogged or congested pores and for generally improving your skin tone and texture. My acne has gotten so much better since I started using this regularly. You can shop for the Charcoal Mask by clicking here. 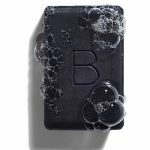 The Charcoal Cleansing Bar: Another product I cannot speak highly enough about. Since I started using this regularly my acne has gotten so much better. I wash my face with this bar in both the morning and night and I also use it on my chest and back. This Charcoal Bar is also great for evening skin tone, decreasing redness and improving your overall complexion. There is a reason it is one of our best sellers. Plus, one bar lasts forever! Most people get 6 months of regular use out of just one bar. It’s amazing. Plus it’s so affordable! You can shop for the Charcoal Cleansing Bar by clicking here. The Volume and Shape Shampoo and Conditioner: Finding a safe shampoo and conditioner that worked for me took FOREVER! I probably tried 6 or 7 other brands before I tried the Beautycounter Volume and Shape Collection and I cannot say enough great things about it. It smells amazing, foams well and leaves my hair looking amazing. My hair has not looked this good since I was using my old, toxic salon brands of shampoo and conditioner. I also love the Volumzing Mist that comes in this collection. I spray it on my roots before I blow dry my hair and it adds so much volume to my thin hair. You can shop the Volume and Shape Hair Collection here. The Beautycounter Makeup. Now, I am not a big makeup girl. But, I do like to wear a few things everyday and I have fallen in love with a few makeup products. I wear the Tint Skin Foundation in Linen everyday as my foundation. It is so light and doesn’t feel like you are wearing anything on your skin. Trust me, I wouldn’t wear it if it did. 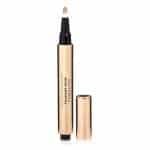 I then use the Touchup Concealer Pen in light to conceal any dark spots, under eye circles or acne spots. This Concealer Pen is the best I have ever used. 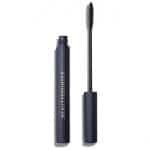 It has a little paint brush type end that allows for really great application. It also has great coverage. I also wear the Powder Blush Duo in Tawny/Whisper as my daily blush. This gives a subtle, flushed appearance that is great for everyday use. The Volumizing Mascara. Now, I tried a lot of “safe and natural” mascaras before this one and they were all a disaster. Think black under eye circles and black flakes everywhere. This is the first safe mascara that I actually like. No not just like, love! I think this mascara works just as well, if not better than the unsafe mascara I was using previously. The Sheer Lipstick. I have seriously never worn lipstick before this. I just hated the way it felt on my lips. But I have been converted. These lip sheers feel more like a moisturizer and they have a really beautiful vanilla type smell that I just love. I have a few colors so far and really like Petal, Currant and Plum. 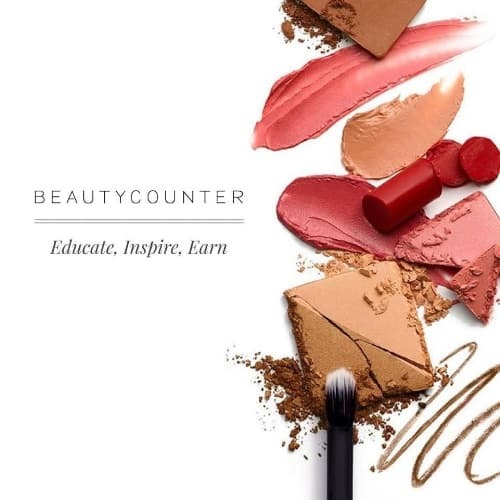 If you are interested in learning more about Beautycounter or trying any of their products please click here. If you have any questions about specific skin conditions please let me know and I would be happy to give you some advice. If all of this healthy living talk interests you, I have created a Facebook group called Healthy Living 101 with Erin Carter. I would be thrilled if you joined me over there to continue this discussion. 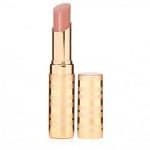 You will also be notified about special deals and offers that Beautycounter has. If you are interested in some product recommendations I suggest filling out my Skin Quiz and I can help you out! If you would like to be kept updated about what’s happening with Beautycounter, when I post about clean skin care information, or do makeup/skincare giveaways, simply leave your email address below and I will keep you in the loop! Click Here To Join (scroll down to where it says “join the movement” and make sure it lists Erin Carter as your mentor). If you are passionate about safe skincare and want to help other people clean up their beauty routines, you can become a consultant. Beautycounter Consultants enjoy many benefits, including the ability to purchase products at a 25% discount. The Career Plan pays up to 35% commission on retail sales and allows Consultants to earn bonuses and override commissions based on sales and recruiting requirements. Consultants also have the ability to earn special incentives, including trips, exclusive Beautycounter items, and access to invitation-only events. It’s entirely up to you how you work with customers – you can spread the excitement of Beautycounter on your blog or social media (like this), just with your friends/family/coworkers, host at home Beautycounter Social Parties, etc. The sky really is the limit and the opportunity to earn some extra money is huge. Plus you get the opportunity to join my team and work with me! I promise I will provide you with great support and a lot of fun along the way too. Click Here To Become A Consultant (scroll down to where it says “become a consultant” and enter your information and ensure that Erin Carter is listed as your mentor. I will offer you great support in starting your own business and help you every step of the way). Do you live in Calgary? Want to try some of the Beautycounter products first hand while enjoying a fun night with your girlfriends? Send me a message and let’s plan a gathering! Also be sure to check if there are any Beautycounter events happening in your area by checking the schedule here. 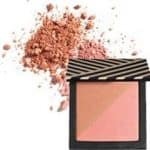 In this group I post information about skin care products and also let everyone know about current Beautycounter deals, events, and offerings. Simply click here to join.